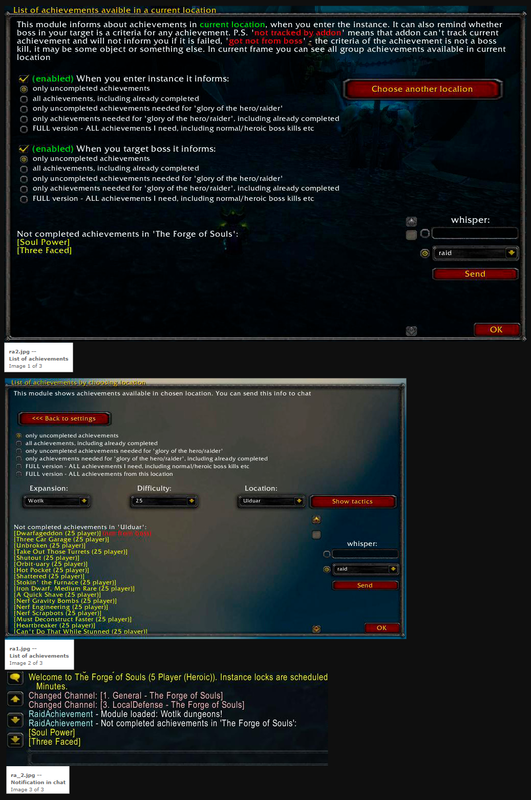 Informs about achievements when you enter the instance or target the boss. Manual selection of available achievements (by location). Check your addon’s folder, and delete the folder named “RaidAchievement_AchievementsReminder” if it exists.